Pasadena, CA, January 15, 2017 – Tomorrow PBS, the nation’s most trusted provider of educational media for children, will launch the first-ever national 24/7 PBS KIDS channel, provided by member stations across the country on TV and via live streaming on digital platforms. The free service, which will feature 24/7 educational programming, ensures that PBS KIDS’ high-quality content is available to all children and caregivers on a platform and at a time that works for them, including primetime, weekends and other out-of-school times when they are most likely to tune in.i In fact, a new national study of parents with children ages 2-6 finds TV viewing is one of the top ways that families spend time together, with 89 percent of parents reporting they watch TV together as a family, 74 percent in favor of anytime access to educational programming and 37 percent ranking PBS KIDS as the best use of family screen time. PBS President and CEO Paula A. Kerger announced the channel launch and survey findings today at the Television Critics Association Winter Press Tour. Later this year, the live stream will introduce a first-of-its kind integrated games feature, enabling children to toggle between a PBS KIDS show and an activity that extends learning – all in one seamless digital experience. This new feature is grounded in research demonstrating that measurable gains in learning are achieved when children interact with both PBS KIDS video and games. The games will align with the learning goals of each TV series, deepening children’s engagement and supporting learning. For more than a decade, the American public has consistently ranked PBS KIDS as the number-one educational media brand for children.iii In a recent survey, PBS KIDS ranked first in school readiness among children’s TV networks. When asked how well networks prepare children for school, 81 percent of parents said PBS KIDS helps a lot/somewhat, topping the next closest network by 11 percent. 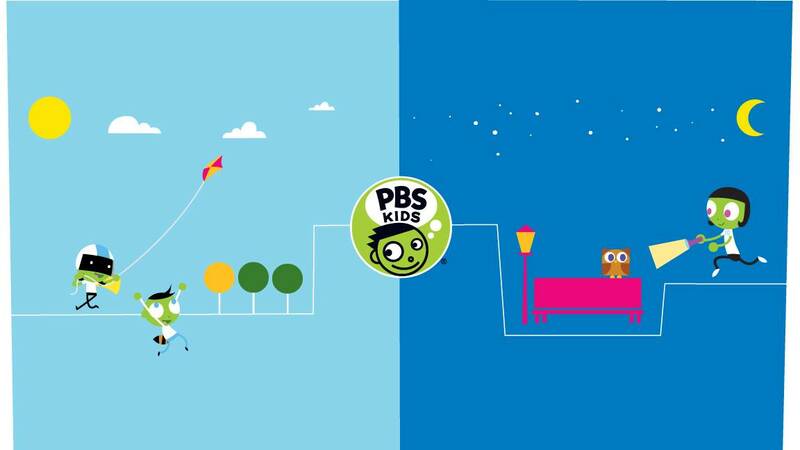 Parents also credited PBS KIDS for more positive behavior exhibited by children after watching. PBS KIDS stands out as the most trusted and safe place for children to watch television and the best use of families’ screen time, according to the study. PBS commissioned the study with an independent research firm. More findings are available here. Leading children’s media experts point to PBS KIDS as a trusted resource for families, too. “PBS KIDS’ series are consistently among the highest-rated shows that Common Sense Media reviews,” said James P. Steyer, founder and CEO of Common Sense Media. “Millions of children across our country stand to benefit from the increased access to PBS KIDS’ exceptional content with the launch of the 24/7 PBS KIDS channel.” Similarly, the American Academy of Pediatrics (AAP), in its recently updated guidelines for children’s media use, recommends PBS KIDS as the leading resource for quality, educational screen time. The new AAP guidelines also encourage parents to watch TV with their children and talk about it together. Beginning Friday, April 21, 2017, the new channel will debut “PBS KIDS Family Night,” weekly family viewing events featuring movie specials or themed programming every Friday from 7 to 9 pm, and repeating on Saturday and Sunday evenings. “Family Night” will kick off with popular movie favorites such as ODD SQUAD: THE MOVIE, SPLASH AND BUBBLES: ONE BIG OCEAN and SESAME STREET: THE COOKIE THIEF, and will include world premiere movie events such as DANIEL TIGER’S NEIGHBORHOOD: TIGER FAMILY TRIP, WILD KRATTS ALASKA: HERO’S JOURNEY (w.t. ), READY JET GO! : RETURN TO BORTRON 7 and ARTHUR AND THE HAUNTED TREEHOUSE. A full list is available on PBS PressRoom. Stations will provide the PBS KIDS 24/7 channel in addition to their current primary PBS channel, which will continue to feature a PBS KIDS day part combined with award-winning dramas, documentaries and investigative journalism. The schedule of children’s programming on the primary PBS channel will be different from the 24/7 channel, offering families a variety of options. Viewers can find local station schedule information here. The survey of 1,004 parents of children ages 2-6 was conducted November 30 - December 15, 2016, by Maru/Matchbox. Parents completed the survey online. The survey base is representative of TV-viewing households with young children with regard to household income and ethnicity. iNielsen NPOWER Live PUT, 9/21/2015-9/18/2016, K2-11, select dayparts. ii AppFigures (download data, Apr’11 - Nov’16), Google Analytics (streaming data, Jan’15 - Dec ’15). iii Marketing & Research Resources, Inc. (M&RR), January 2017. Survey of 1,002 adults, 18 years of age and older, who participated via phone January 3-10, 2017. Results were weighted to be statistically representative of the adult U.S. population. iv Learning with PBS KIDS: A Study of Family Engagement and Early Mathematics Achievement, WestEd, 2015.
v Learning with PBS KIDS: A Study of Family Engagement and Early Mathematics Achievement, WestEd, 2015.
vi Nielsen Total Audience Report 2Q2016. vii Nielsen NPOWER Live PUT, 9/21/2015-9/18/2016, K2-11, K2-11 in HH w/Inc <$20K, select dayparts. viii Zero to Eight: Children's Media Use in America 2013, Common Sense Media; Opportunity for all? Technology and learning in lower-income families. A report of the Families and Media Project, The Joan Ganz Cooney Center at Sesame Workshop, 2016.